If you want to set up a site for your company, you will have to contact a hosting provider, and they will present you with a place to store all those files that are essential for a web page to run properly. However, not all hosting types are the same, and even the providers themselves can offer different quality of services. That is why it is imperative that you take your time and analyze what they are offering before putting your name on the line and signing up for a monthly or a yearly plan. The basic idea behind web hosting is that this service provides the users with the necessary infrastructure which they can use to store the relevant data for operating a website. What this means is that you will upload all the files to a server, i.e. a high-performance computer located in a data center, and then those images and documents will be quickly downloaded each time someone visits your page. Different types of web hosting are present in the modern-day market, and those categories include free, shared, dedicated, or VPS hosting. Also, cloud-based hosting is becoming increasingly popular in the recent period due to the development of sophisticated technologies. As we already said, a good hosting plan is a foundation for a functional website, and that is why it this element is essential in operating your virtual presentation. In today’s business environment, your website is the primary method of advertising, and that is why business owners from all over the world are developing their sites and creating their portals. 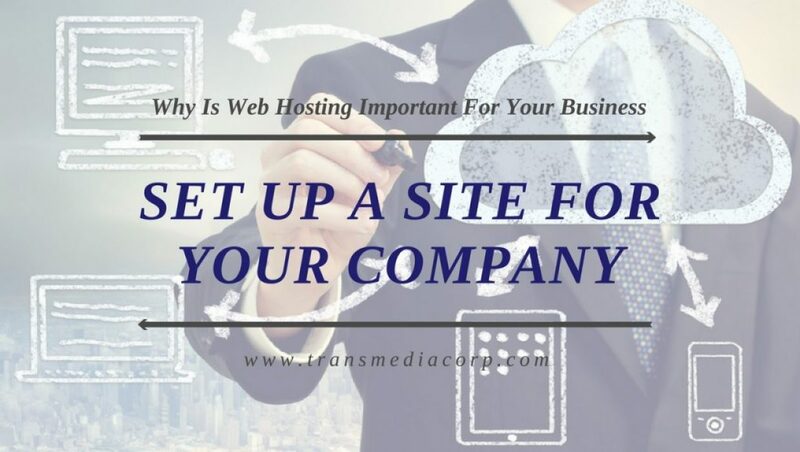 In other words, your results and subsequent profits will depend on the quality of the web hosting plan you employ, and that is why successful companies typically decide to invest large amounts into their hosting. For example, dedicated hosting will give you exclusive privileges on a server, and you will also receive a range of benefits and efficient tools, which will make your site lightning fast and aesthetically impressive.